Trump welcomed King Abdullah II to the White House as he denounced the chemical attack on Syrian civilians. 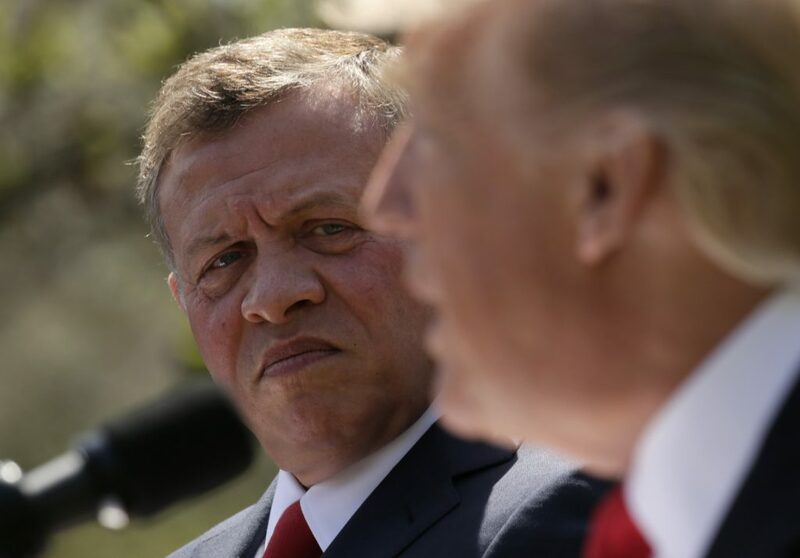 King Abdullah II of Jordan told Margaret Warner Thursday that he expects the "loss of life" will continue in Syria and that the key players "don't really know what to do" about the conflict in the Middle Eastern country. Jordan's King Abdullah told Congress Wednesday that the United States must take the lead in cementing peace between Israel and the Palestinians. Abdullah talks to Jim Lehrer about the need for a two-state solution.